It was a day like any other day in a kitchen like any other. Groggy and overwhelmed, coffee and time-deprived, my husband and I were rushing around, squeezing between fridge and sink, trying desperately to find something healthy and palatable to send for lunch in our two young boys’ school bags. The whole process was tinged with a niggling dread and a hint of irritation, knowing that the lunch we were packing would likely be returned partly eaten at the end of the day—slimy cucumbers and cold tomato pasta that would make my stomach churn. There has to be a better way, we told each other—though we’d hashed out the possibilities many times before. 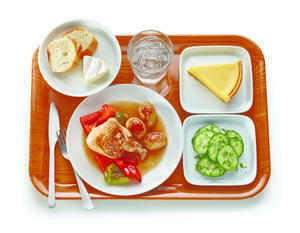 But even in the depths of school lunch despair, I had to wonder, if middle class people like us were struggling to get their kids a nutritious and tasty meal that they will actually eat, what about people here at home or the rest of the world whose challenges are so much more extreme? How do people living in poverty in Canada or India, Kenya, Afghanistan or Brazil manage to keep their kids healthy and fed? 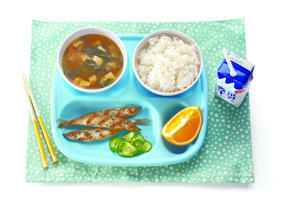 It was an idle thought that turned into a year-long search—talking to kids in the U.S. and Italy and Canada, educators in Russia, academics in Peru, activists in Bangladesh—to find out how schoolchildren eat around the world. It was also a search that led me down a whole new path as a writer. I’ve written about food in the past, lots of magazine pieces that go deep into complex stories from police brutality to fertility issues, even another book, but I’d never written for kids. Of course, like many people who have children and also write for a living, I’ve long imagined writing something that my own kids would read (and, I dared to hope, enjoy). I know they suspect I sit and stare idly at my computer screen all day long, so tangible evidence of my labour in a medium they could appreciate would be welcome. I’ve been doing this for too long to think writing a book—for children or anyone else—would actually be easy, but I did venture to hope that a kids’ book would take less time and be different in intensity from writing for adults. Kind of like hitting the refresh button between other projects. I was wrong on almost all counts. Writing for children is hard. It’s intense. And depending on what it is you’re writing, can take just as long as any adult book. My idea with What’s for Lunch? 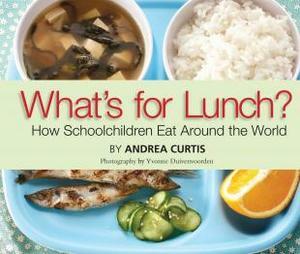 was to use the lens of school lunch around the world as a way to look at the complexity of the international food system. I would take this common experience kids have all over the world and through it explore tough global issues like poverty, hunger, the obesity epidemic, sustainable agriculture and fast food culture. I knew it would require a light touch, a sense of fun and careful use of language and ideas. I knew, too, that I’d have to do a lot of research. But what I found was that culling that research and bringing it into focus for children was a task requiring not just the steak knife I’m accustomed to using to make cuts, but also a machete. I would cut and filter, then cut and filter some more—honing the research down to the barest of bones, as precise and relevant as possible. I learned, too, that the ability to move between fun anecdote and big concept is a tightrope—lean one way and the book becomes dull; the other and it’s a wackadoodle circus that fails to touch on the important issues. Add to that the fact that children’s authors need to have carefully tuned antennae for cultural bias (do the French really love stinky cheese or is that just a Gallophobe stereotype? ), and the tightrope grows ever more tricky. But even while trying to negotiate this new balancing act, there was one thing that turned out as I hoped. Writing for children did indeed act as a mental refresh button for me—as both writer and parent. It forced me to think more carefully about what we expect of children as readers and learners. I began to realize more fully how we often fail to give kids the credit they deserve for being wise and insightful, able to grasp multiple levels of an idea at the same time. And so I wrote a book that will challenge kids to think about the idea of school lunch—something they do everyday—and food in general in new ways. It will ask them to consider the way their food is connected to many things they care about, and to see their own role in making the world a healthier, more equitable place. And inspired by these revelations, I also decided to take a course about using art in the classroom, to learn how I could be the kind of writer, educator—and parent—who makes the most of kids’ native intelligence and creativity. Today, teaching creative writing to kids at the Toronto nonprofit, Word-Play—using art and music, dance and drama—is the most exciting part of my working life. I started out thinking I’d use writing for kids as a break from grownup things, but it turned out kids’ books had a lot to teach me. The one thing I didn’t learn? How to get my own kids to eat their lunch. Andrea Curtis's critically acclaimed Into the Blue: Family Secrets and The Search for a Great Lakes Shipwreck won the Edna Staebler Award for Creative Non-Fiction. Her writing has also appeared in Toronto Life, Chatelaine, Canadian Geographic, Explore, Utne Reader, The Globe & Mail, Today's Parent, cbc.ca/arts and others.